Manchester United midfielder Paul Pogba is fast becoming “the best Premier League player”, according to pundit Jamie Redknapp. Pogba has been in outstanding form for United since Jose Mourinho departed in December, with the Frenchman playing a key role in his team’s turnaround over the last couple of months. The 25-year-old has scored eight goals in his last nine Premier League appearances, while he has 13 goals and nine assists in 30 games for United in all competitions this term. 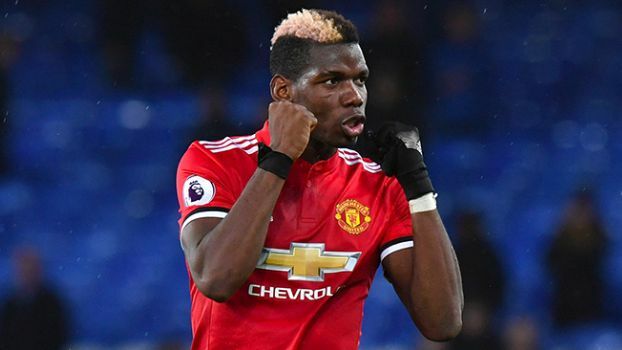 Redknapp has lavished praise on Pogba’s recent form, crediting the change in mood at Old Trafford as a key reason for the midfielder’s current success. “I remember doing a game with you very early into Ole’s reign and you [Louis Saha] were saying about Paul Pogba that he’s one of the best players around, bar none,” Redknapp told Sky Sports News. “At the time people probably thought ‘that’s a little bit [over the top]’. But I think now people are seeing the best Premier League player, the best midfield player at the moment. Pogba netted twice in United’s 3-0 win over Fulham in the Premier League on Saturday afternoon.